This one is a top seller. 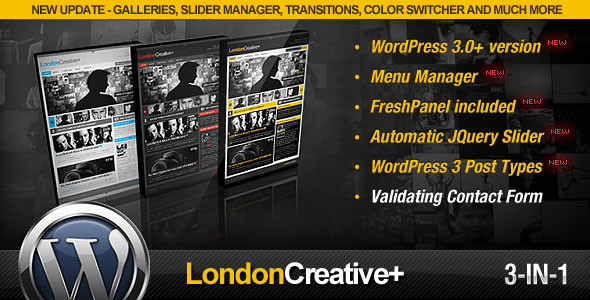 LondonCreative is a 3-in-1 theme with a menu manager, FreshPanes, jQuery slider and 3 custom post types. It also has a validating contact form. New update: this theme now has galleries, slider managers, transitions, color switchers and more.